Whether celebrating a special occasion with family and friends or hosting a corporate event, Coastal Grill & Raw Bar can accommodate all of your special event needs. 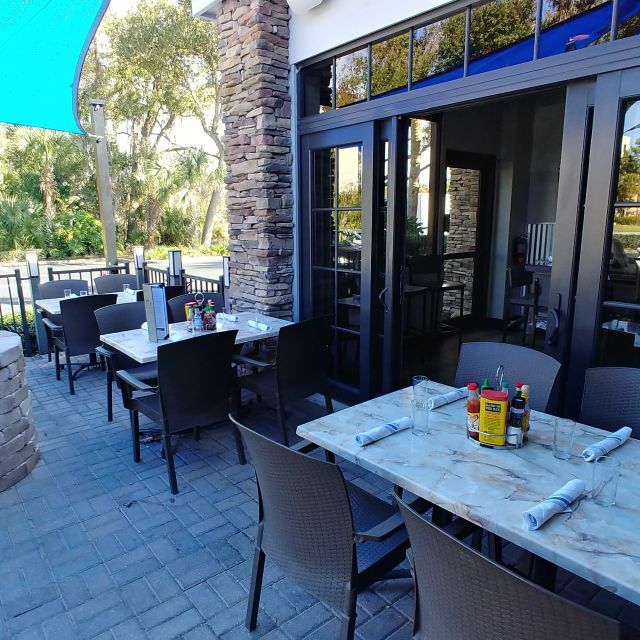 Coastal Grill & Raw Bar offers a fresh, local and social experience for all. 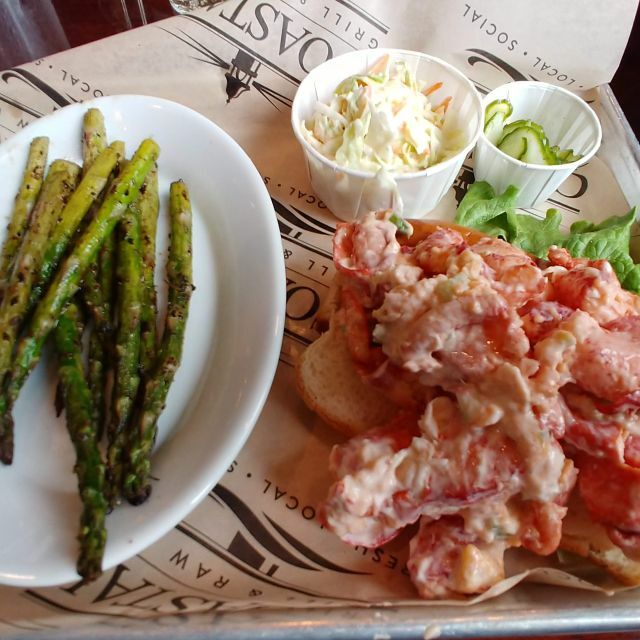 By land or by sea; you’ll find something for everyone on our menu! Try new Coastal favorites like our lobster mac & cheese, low country boil, or oysters from our raw bar! From Po’ boys and seafood combos, to pork chops, smoked brisket and great steaks; we’ve got you covered! 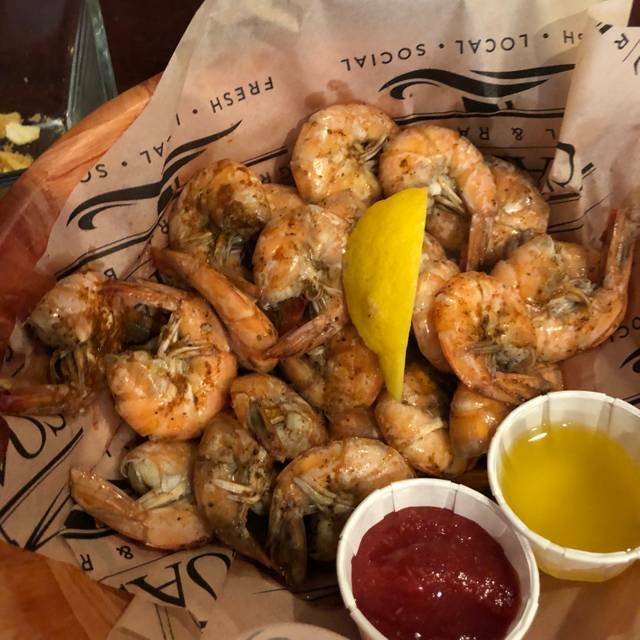 Coastal Grill & Raw Bar is the best new place in Port Orange to grab a bite! Open daily for lunch at 11am. Kick back and relax to live music at night in our casual environment. All-Day Happy Hour on Easter Sunday! Enjoy $1 off Draft Beers, $2 off Glasses of Wine, $8 off Bottles of Wine, $5+tax Stoli Vodka Flavors, and discounted Well Drinks, House Cocktails, Margaritas, and Manhattans! Almost All-Day Happy Hour Every Day! A very busy Friday night at prime time, however our table was ready upon our arrival. Can't do any better than that. Food and prices quite decent. Just one comment. Wedge salad has always been famous for the size, blue cheese dressing and blue cheese crumbles. 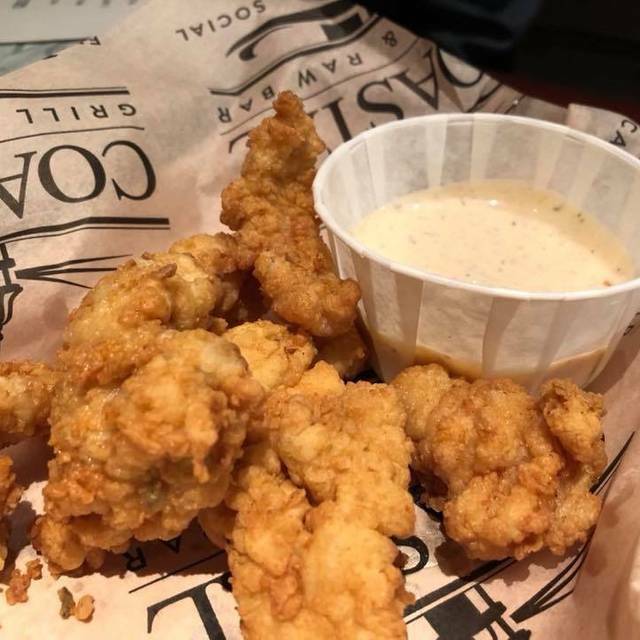 Now more and more restaurants are serving with ranch dressing and unless specifically requested there are no blue cheese crumbles. To me that isn't a real wedge salad. Shame on all restaurants who are going this route. Everything was very good, foo excellent. Service excellent but very cold in restaurant. I had long sleeve shirt and sweeter and was still chilly. Great deal for Tax Day just wish it was for more than one kind of beer. Hamburgers are huge and lots of options for sides. Fantastic menu. Everything is wonderful...the oysters, all the BBQ, scallops, salads, seafood. Creme brûlée. Can’t go wrong with any choices. Best atmosphere in the Port Orange area. Beautiful place inside and out including a elegant coastal bar. We celebrate all our family occasions here. Nice selection of seafood apps and entrees on menu. Ahi Tuna and Grilled Oysters were fantastic. Exceptional Bar/Raw Bar. We are locals and this is our first time since the conversion from Stonewoods and will not be the last. First, I highly recommend making reservations. After we were seated, our server (Paige) arrived immediately and took our drink orders. Paige returned within a few minutes with our drinks and we discussed the various menu items and specials. We love oysters and ordered a dozen raw and 6 chargrilled. Both of these were excellent - large oysters and great flavor! 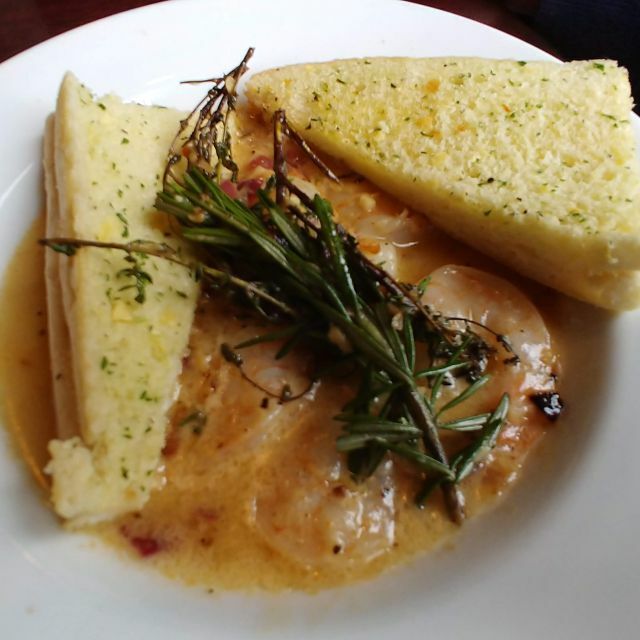 For dinner, we ordered the shrimp and grits and the Clobsters Grilled Cheese. Both were excellent! For dessert, we ordered the key lime pie which was also excellent and we are key lime pie snobs! lol Our server Paige was one of the best servers we have ever had at any restaurant - friendly, outgoing, and attentive. She should be training the rest of the servers! We highly recommend and will return! We had a 6:30 reservation, but were not seated until 7:00. We asked why it took so long and were told that the large area where the bar was located and the outside seating were for patrons without reservations. We asked our waitress Maria why patrons were being served ahead of us in the non reservation area. The manager came over to explain that this was a very unusual situation, on a very busy Sat. night. My comment to him was that they should have more seating for reservation patrons. The service was excellent and our waitress was outstanding. When we received our bill, the manager took a full meal off the bill. We will return and are looking forward to ou next meal there. We ate in the dining room and not the bar area, so it was pretty quiet. the waiter was wonderful and the food was wonderful. I had the shrimp and scallops with corn and tomatoes. It was delicious. Depending what you order it could be expensive but there is a lot to chose from the menu. i plan to go back. As a matter of fact we took friends with us for dinner. They enjoyed everything as well. The food was so very good and well-prepared. But beware! When we ordered our entrees along with our appetizers, we stated that we did not want to be rushed. Within three bites of our first course, the entrees arrived! We went them back but it made for an uncomfortable experience. Met up with my Dad and his wife whom I hadn’t seen in a while. We had a nice leisurely dinner of 2 1/2 hours allowing us to catch up, since my trip here was a short one. Server was accommodating to our requests for some changes and so nice. Also, a couple of glitches, first with wrong cup of soup coming out. The server was on it and fixed it. Also, my dad’s second cocktail didn’t come as quickly as his wife’s, so again, she took care of it right away. The food was fresh, delicious and beautifully prepared. I had the poke bowl and it was amazing! I had to bring the rest home for lunch because it was a generous portion. We shared raw and grilled oysters to start and we loved both. My dad’s smoked fish was delicious and the capers and onions were a nice touch. His wife enjoyed her wedge salad and the ahi tuna. And the key lime pie...mmmm! All in all I can definitely say I will go back next time I swing through! And my family who lives here says they will go back. Great redo of an older restaurant but a bit noisy when you are trying to talk. Food was excellent though a little high in price for the amount of crab legs you get. Great selection of oysters, drinks and shooters. 4 of the 6 of us had not been there before so it was so nice that they take reservations. Was a little disappointed that the waiter did not do anything extra for us since one guest found a lipstick stain on her fresh glass of water. Sort of impacted that first order of food, with the idea of a dirty glass she almost drank out of, but he was great otherwise. Maybe we should have asked for something. Great service. The dishes we had were very good. Definitely go back again. Restaurant is much improved since it was redesigned and rebranded. Food was great and Mickey was a wonderful server. The food was pretty good but not real good. The service was good, waiter attentive but busy. The noise level was high compared with when it was Stonewoods. My overall impression: upscale Crackerbarrel. Service and food excellent. Noise level makes it almost impossible to relax and carry on a conversation. Need to time visit early or when no band or music. Even had a table as far back as possible, and still very uncomfortable noise level. Excellent dinner on our family vacation to Daytona. Kids and adults enjoyed their meal. Loved our evening. 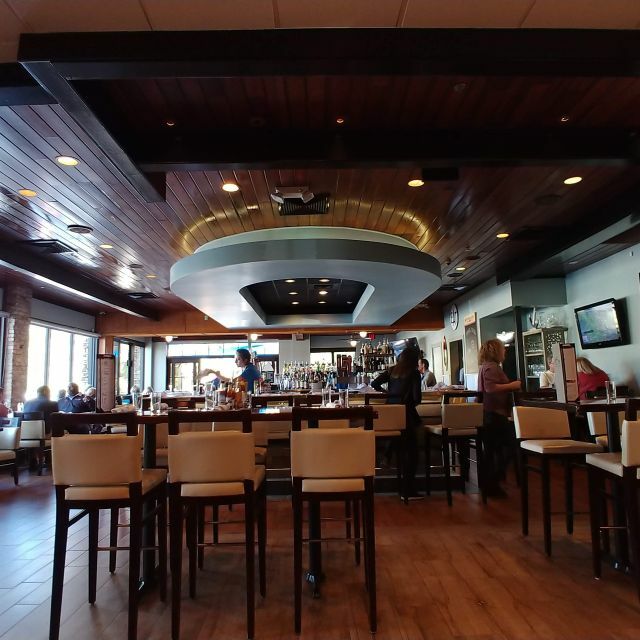 Part of the Stonewood Family, Coastal Grill & Raw Bar continues with the tradition of Great Food, Great Drinks in a Beautiful Venue that caters to the local area residents. Fresh Seafood that is served with a local flair. Daily Drinks Specials. Our server Nikki was outstanding! Be sure to join the Stonewood Grill E-Club. first visit- very pleased with food and service- wait staff friendly and knowledgeable of menu items- good drinks also! Excellent food. Do not recommend their margarita... Great service. Try the cheesy bread... yummy. Very nice.. will return, and tell friends. Had the fryed shrimp with potatoes. The potatoes were excellent and was the shrimp. Our server Lee was excellent. Food was great. Reservation system worked fine. We had conch chowder, bruschetta , oysters, and the tuna poke bowl. All were fresh and tasty. Stole Thursday wasn’t too bad either. Food, service, and ambiance were all great. We really enjoyed our meal, will definitely return next time we are in the Daytona Beach area. Excellent food. Friendly efficient service. Comfortable seating. A bit noisy when busy. A nice upscale break from the prevalent funky seafood restaurants in the area. Very good value for money. Awesome food with reasonable price! Service was excellent as well. I love the new make over, the music in the bar and the Lobster Mac & Cheese is to die for. Margarita during happy hour was very different, not good. The same drink after Happy Hour was great. Not sure if that was planned or just who the bar tender was at that time. I think this restaurant will be a hit. Excellent food, service and overall great experience. The noise level is as to be expected in this type of restaurant. Very fun vibe. We had charbroiled oysters , they were large and delicious. Also had golden tile,which was perfectly prepared. Staff were engaged and responsive. Get a reservation or you may have a long wait. 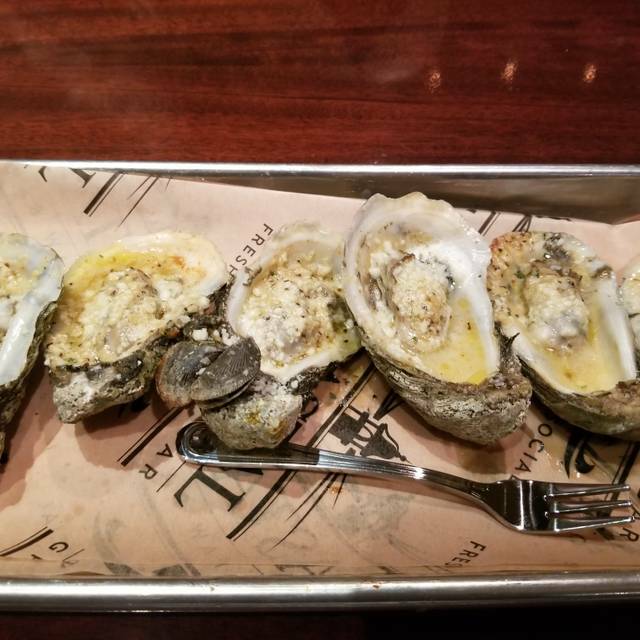 The grilled oysters are delicious! Will be back for more! Birthday dinner My style. Two kinds of clam chowder, six chargrilled oysters and a wonderful house salad. All exactly perfect for me.